Click on “Tools” located on top and click on “Accounts”. 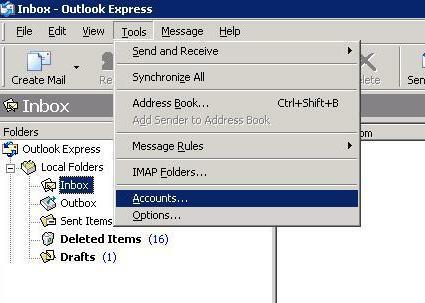 Click on “Add” followed by “Mail”. Enter your name in the Display name: field and click “Next. 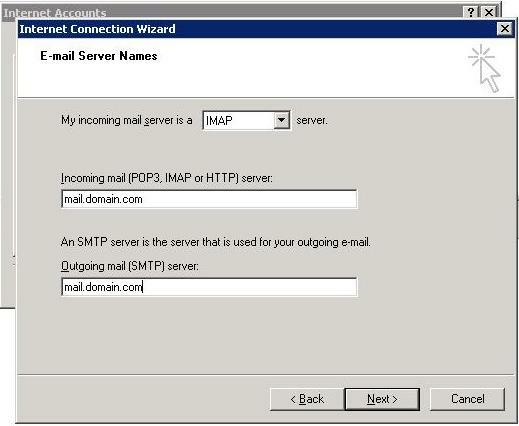 You may select either “POP3” or “IMAP” as your incoming server from the dropdown menu under “My incoming mail server is a *type* server. 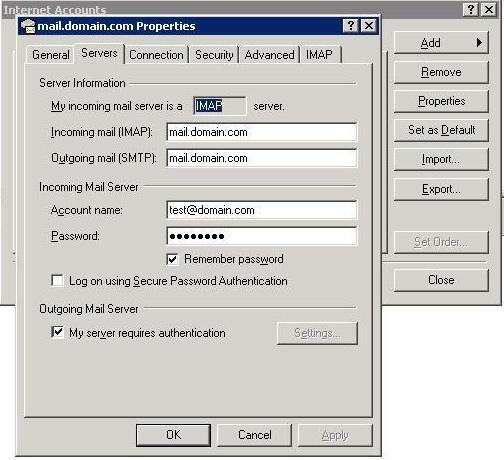 Enter your outgoing mail servermail.domain.com in the Outgoing mail (SMTP) server: field. 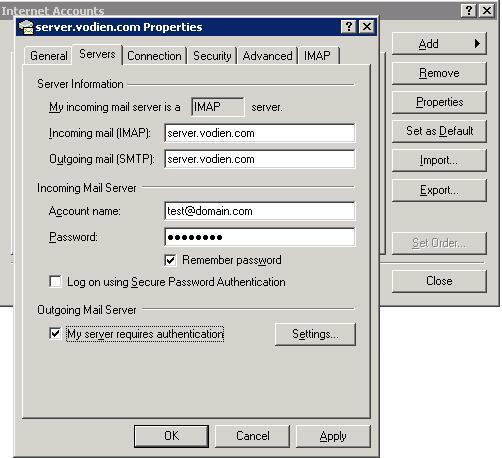 Alternatively, you may use server.vodien.com example duck.vodien.com. After you have entered both server names, click on “Next”. Enter your email address (e.g. 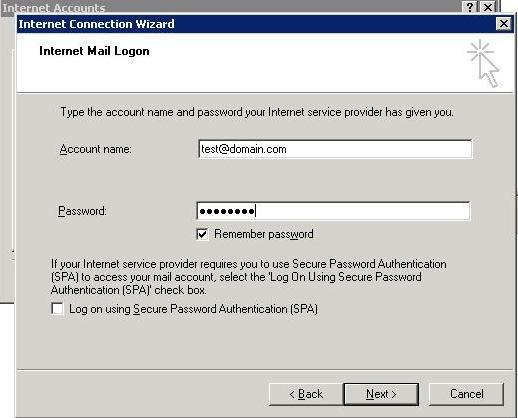 : username@domain.com) in Account Name: and enter your email password in Password:. 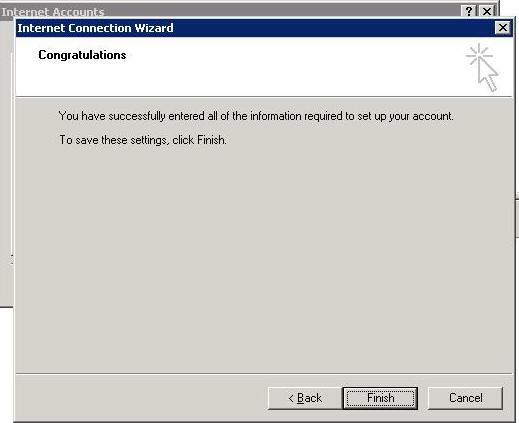 Click on “Next” when you completed this step. Double click on the newly created account. 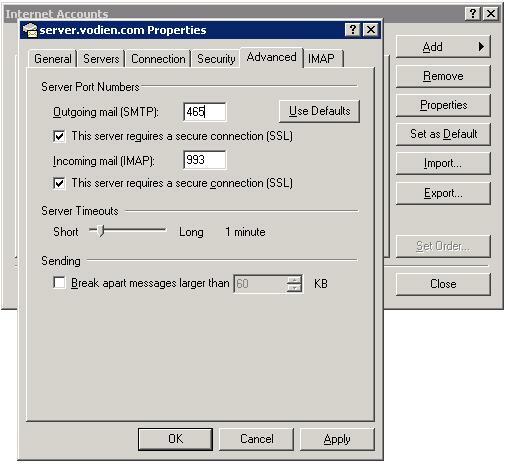 Select “Servers” at the top tab and check the My server required authentication under Outgoing Mail Server sub. Click “Apply” and click on the “Advanced” tab located at the top. 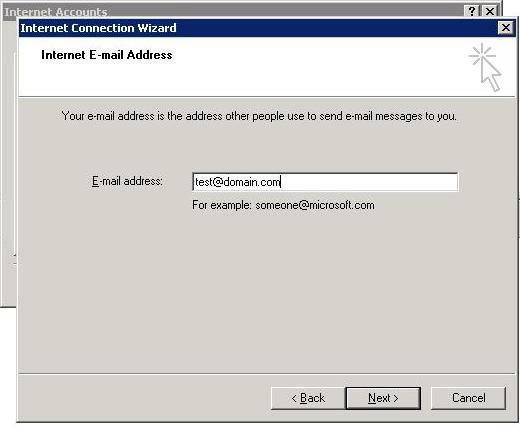 If you wish to access your email account with Outlook Express, please follow the instructions below on how to set up email with Outlook Express (Non SSL). 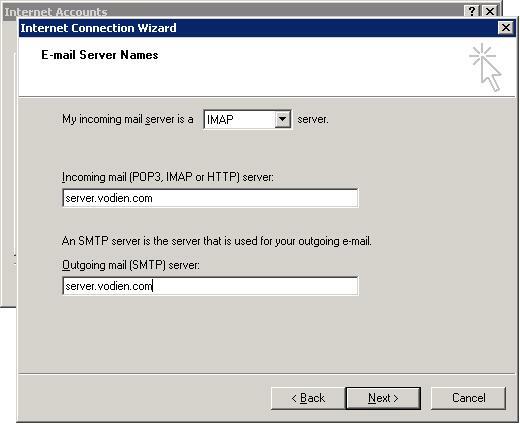 Enter your incoming mail server name (e.g: mail.domain.com) in the Incoming mail (POP3, IMAP or HTTP) server: field. 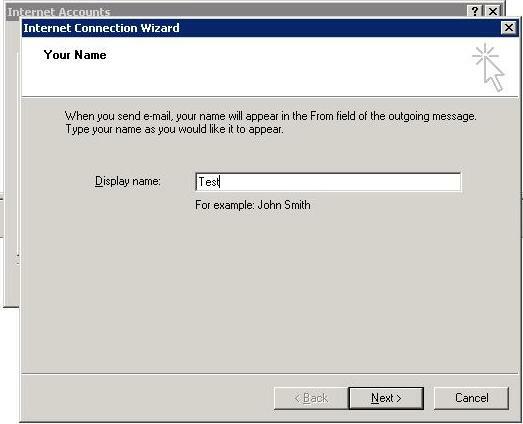 Enter your outgoing mail server name (e.g: mail.domain.com) in the Outgoing mail (SMTP) server: field. After you have entered both server names, click on “Next”. Your Account has been successfully set up.